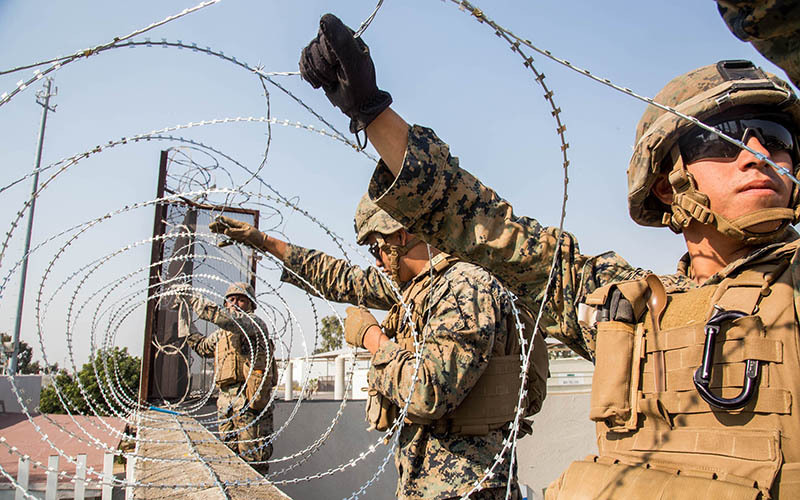 WASHINGTON – National security experts and former military officials called on the administration to bring active-duty troops home from the border for Thanksgiving and end what they called a “needless” and politically motivated deployment. “Exactly as predicted, this deployment of thousands of U.S. troops to our southern border has turned out to be nothing more than what I would call a political stunt,” said Ned Price, director of policy and communications at National Security Action and a former special assistant to President Barack Obama. The call to withdraw troops came as the Department of Homeland Security reiterated what it called the need to “harden” ports of entry against a rush of immigrants now headed to the border, a number DHS officials said could now be as high as 10,500 people. In a briefing with reporters Monday, officials said DHS is taking extra security measures and further restricting traffic at ports of entry near San Diego in response to overnight “chatter” about a potential mass rush over the border by migrants. Operations at the nation’s busiest port of entry, San Ysidro, were suspended for three hours Monday and an additional eight lanes of traffic shut down as both American and Mexican resources at the border were reinforced. “Late last night we started to get information of potential waves or groups of individuals who were communicating about an incursion into our ports of entry, attempting to run by our ports of entry,” which led to Monday’s actions, one official said, speaking on background. The officials said they have “identified more than 500 criminals traveling with the caravan” of Central American migrants, and that most of the immigrants are single men who are likely economic migrants, and thus ineligible for asylum. “Our generous asylum system is being abused,” one official said. But on a conference call hosted Monday by immigration reform group America’s Voice, advocates and experts said the threats posed by a caravan of Central American migrants had been ginned up for political purposes. “It’s estimated this deployment could cost hundreds of millions of dollars, while also separating our service members from their families during the holiday period for absolutely no valid reason. But the costs to America’s reputation are just as high,” Price said. 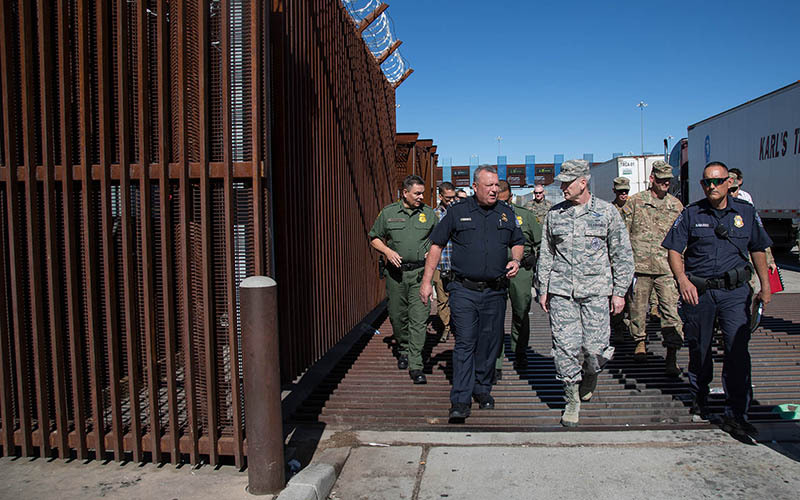 Of thousands of soldiers deployed to the border, an Army officer said Monday that more than 1,500 have been based since Oct. 29 at Fort Huachuca and Davis-Monthan Air Force Base in southeastern Arizona, where they are scheduled to remain through Dec. 15. Politico reported Monday that some troops could start to return home in the coming days as certain barrier installations are completed. But critics said no amount of time at the border is justified. “This isn’t simply an issue of bad politics, but … policies that are seriously having a detrimental effect on the health, morale, and welfare of these soldiers,” said Bishop Garrison, interim executive director for Truman National Security Project and a decorated combat veteran. Price said he hopes troops sent to the border will not be forgotten as they spend Thanksgiving away from home.